An apartment condominium can cost much less than a single family home that has a similar number of square feet. Why the difference in price? You share the cost of the land with the other condo owners. Choosing condominium living means you get access to amenities such a gym, sauna, party room, swimming pool, terrace, etc. You would either have to pay a premium or drive to a different location to get these features in a single family home, but access to them comes included when you buy a condo. A big advantage of choosing to buy a condo is that you are not responsible for dealing with cutting the grass or shoveling snow. Those tasks are taken care of for you. You can look forward to weekends that are “your” time to do with as you please. Living in a high-rise condominium means that you’ll likely have more security than the average single-family home. At the very least, guests will likely have to buzz to be let into the building, and there may be an alarm system and security cameras in place as well. If you move into a new area, it may take some time before you meet the people who live next door, much less on the same street. Living in a condominium complex makes it easier to meet people, especially if the one you choose schedules meetings for owners from time to time. Unlike living in an apartment, you own your unit. You can renovate and decorate it to suit your needs and taste. 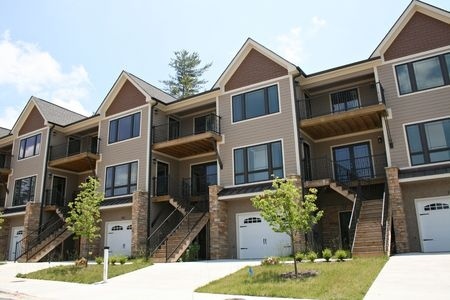 Condominiums can provide you with the best parts of home ownership without some of the hassles of caring for a house. If you are looking to buy on this type of fuss-free basis, call Daniel and Bonnie Wan today. This entry was posted in Buying and tagged Condo Buying, Condo Buying Benefits, Condo Buying Facts, Condo Buying Tips, Condo Sales, real estate. Bookmark the permalink.